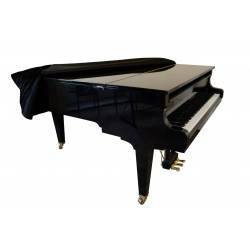 Grand piano covers for any piano brand: Steinway, Gaveau, Pleyel and more. Grand Piano There are 11 products. 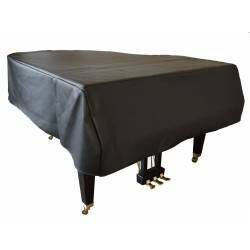 High quality cover for semi-concert grand piano. Outer: waterproof and durable faux leather. Padded inner. For pianos ranging from 187 cm (6' 2") to 197 cm (6' 6") in length (keyboard included). High-quality cover for ultra-compact grand piano, commonly referred to as petite grand piano, such a the Kawai GM10. Outer: waterproof and durable faux leather. Padded inner.For pianos ranging from 140 cm (4' 7") to 151 cm (4' 11") in length (keyboard included). 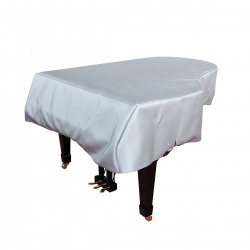 High quality cover for parlor grand piano. Outer: waterproof and durable faux leather. Padded inner. For pianos ranging from 176 cm (5' 9") to 186 cm (6' 1") in length (keyboard included).